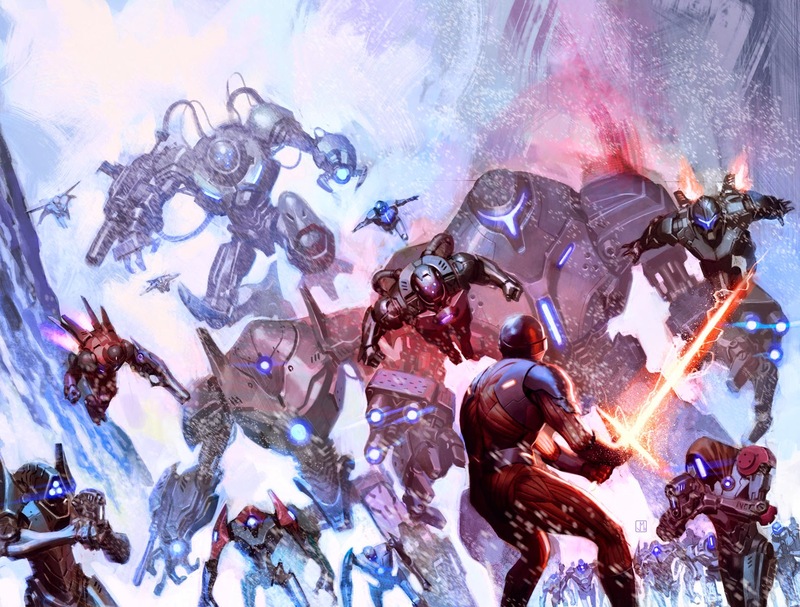 X-O Manowar has proven an ability to withstand almost any and all comers. Aric of Darcia is a hero for the centuries who has gone up against a wide variety of enemies, most of whom he's defeated in the end. He may meet his match in March in X-O Manowar #34 from Robert Venditti and Diego Bernard. The issue pits him against Dead Hand, the ultimate fail-safe of an extinct alien race. The civilization that built them has fallen...and, now, to combat the doomsday threat that destroyed their world, DEAD HAND will complete the mission that their creators could not. Soulless and brutal, this billion-strong legion is the phantom army of a dead world…and it will cleanse the universe by any means necessary. But what unthinkable menace were they created to destroy? And will DEAD HAND's slow march across the galaxy spell death for countless worlds? "DEAD HAND is going to take the mythology surrounding the X-O Manowar armor, and the entire Valiant Universe, in a direction not seen before," said writer Robert Venditti. "As formidable as the adversaries in the series have been to date, none of them measure up to this single-minded, doomsday threat. 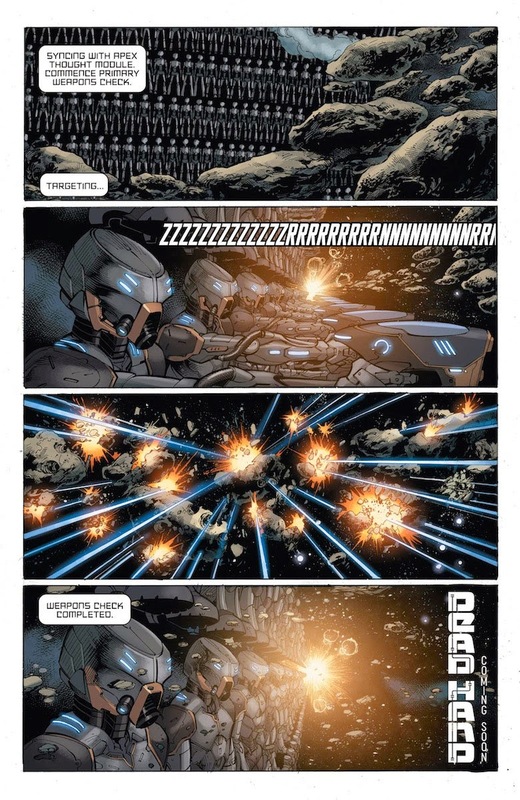 X-O Manowar has made a habit of taking what readers expect and turning it on its head. We've challenged ourselves to do that again." 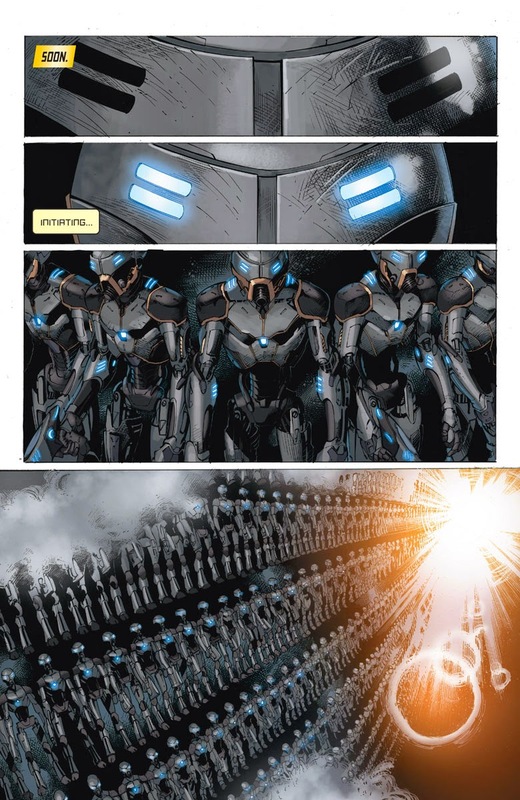 "Last summer, X-O Manowar went up against the Armor Hunters for a full-metal throwdown between Earth and alien life. Well, we won the battle, but that doesn't mean we've won the war," said Valiant Editor-in-Chief Warren Simons. "Somewhere out there, something colder, grimmer, and more calculating is about to come online. And it won't concede that war, even in death. An extinct world has saved a nasty treat for the Valiant U – something insanely effective that could only exist in the wake of their failure – a dead hand. Venditti's cooked up a good one, folks." 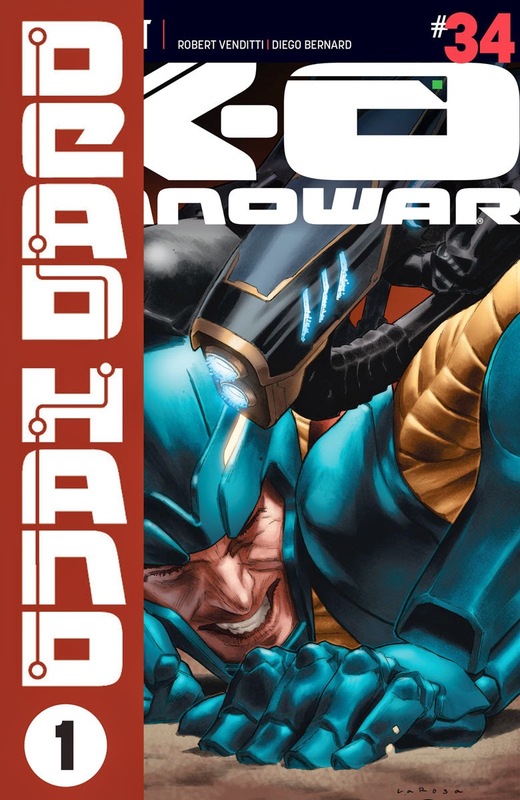 DEAD HAND – The X-O MANOWAR Epic of 2015 Begins in March! DEAD HAND is coming…and, in 2015, X-O MANOWAR is all that stands between Earth and the ultimate doomsday fail-safe! Valiant is proud to present DEAD HAND – a devastating cosmic showdown beginning this March in X-O MANOWAR #34 from New York Times best-selling writer Robert Venditti (ARMOR HUNTERS, The Flash) and superstar-in-the-making Diego Bernard (Red Lanterns)! In the far reaches of deep space, the ultimate fail-safe of an extinct alien race has finally counted down to zero…and the robot army called DEAD HAND has been activated. The civilization that built them has fallen...and, now, to combat the doomsday threat that destroyed their world, DEAD HAND will complete the mission that their creators could not. Soulless and brutal, this billion-strong legion is the phantom army of a dead world…and it will cleanse the universe by any means necessary. But what unthinkable menace were they created to destroy? And will DEAD HAND's slow march across the galaxy spell death for countless worlds? Soon, Aric of Dacia will be forced to confront the secrets that have pushed him to the terrible turning point that is DEAD HAND…and battle a single-minded killing machine unlike any he has seen before! Outmatched and vastly outnumbered, how can Aric stop something unstoppable…something that knows no fear, only eradication? 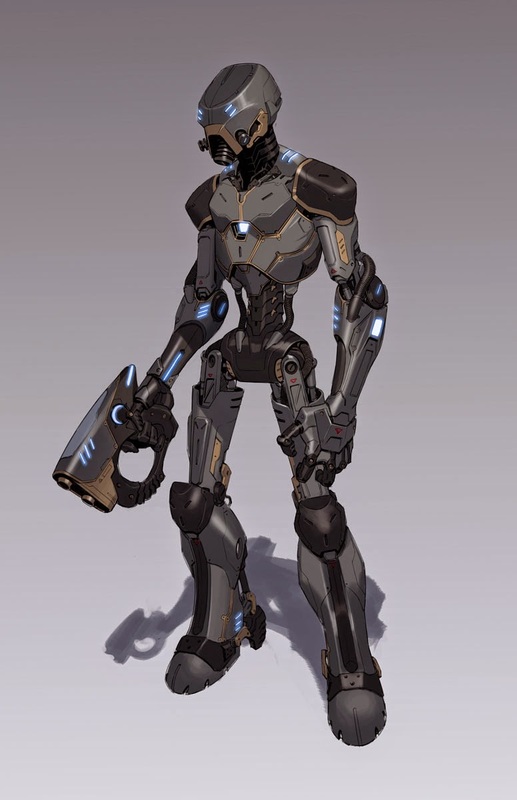 This March, in the blistering fallout of ENTER: ARMORINES, the battle-hardened hero at the center of the Valiant Universe will take to the stars…and face the terrible onslaught of a coming robot war unlike anything in the history of human civilization! Featuring specially manufactured DEAD HAND OVERLAY WRAP COVERS by Valiant superstar Lewis Larosa (BLOODSHOT) on each issue, alongside wraparound alternate covers by rising star Jorge Molina (X-Men), the four-part DEAD HAND action epic is the can't-miss X-O MANOWAR mega-event of 2015 – and it all begins this March, only in X-O MANOWAR #34!